In today’s society we use this word “health” very freely without regards to real meaning. 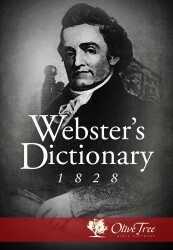 Noah Webster wrote in his original version of the Webster’s Dictionary “HEALTH, n. helth. [from heal.] That state of an animal or living body, in which the parts are sound, well organized and disposed, and in which they all perform freely their natural functions.”, he does go further to speak about plants, animals, and religious health. World.Health.Organization – Health is a state of complete physical, mental, and social well-being and not merely the absence of disease or infirmity. The part that confuses me is the “in which they(parts) all perform freely their natural function.” because we as a society have tried to circumvent the natural function portion of the definition of health and it (natural function) has been deleted from the current Websters Dictionary and substituted with “sound”. There is a man who takes statin drugs to change the cholesterol in his body. These drugs help him with natural function. There is a man who takes statin drugs to change the cholesterol in his body. These drugs help him to remain sound. #2 is the current all0pathic(medical) model, where the medicines are distributed to try to stabilize a body that has dysfunction and side effects are minor. #1 is actually false. To help with natural function, the substance would have to come from nature in a normal environment. Examples an orange, apple, broccoli, etc. Statin pharmaceuticals come from a lab and block functions in the body and as time goes on we start to see the unintended consequences like diabetes. Here is a list of drugs that were approved by the FDA but now the unintended consequences have landed many people in the hospitals and/or graves prematurely: Celexa,Lexapro,Fosmax, Zoloft, Topamax, Meridia, Accutane, Wellbutrin, Paxil, Depakote, Reglan to name a few. Health does not come from a bottle. It comes from inside all of us. It starts with drinking clean water (your body weight / 2 = ounces per day recommended), eating a balanced diet (preferably the Paleo Diet), getting 8 hours of restful sleep (on your back), brisk 30 minutes of exercise 5x a week, and keeping your command and control system (the nervous system) free of interference. 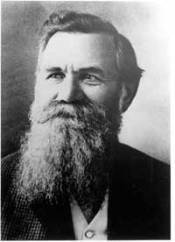 For 117 years chiropractors have been adjusting the spine to clear interference with the nervous system. As science catches up to the chiropractic adjustment, the scientific world is validating what chiropractors have been saying for over a century.